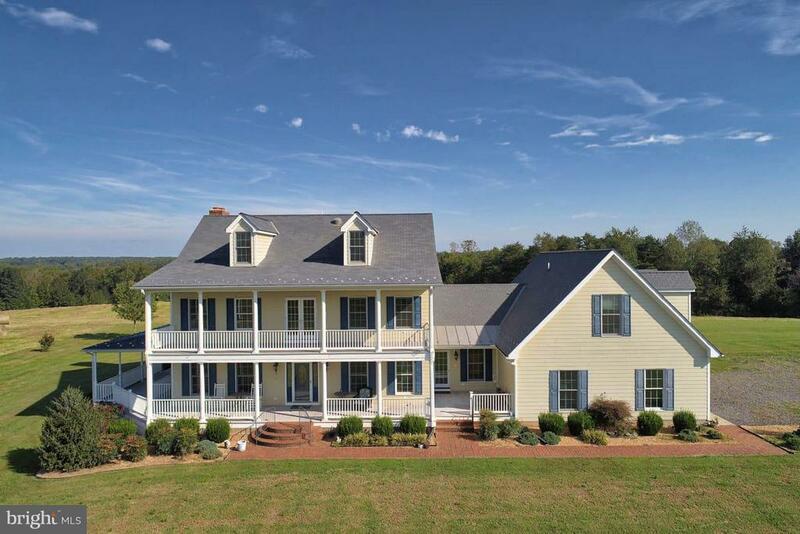 All Locust Grove - VA homes currently listed for sale in Locust Grove - VA as of 04/24/2019 are shown below. You can change the search criteria at any time by pressing the 'Change Search' button below. 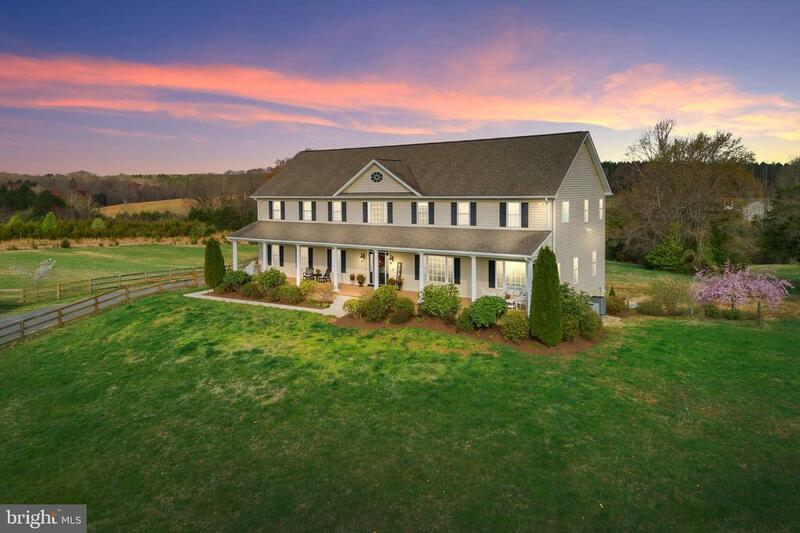 If you have any questions or you would like more information about any Locust Grove - VA homes for sale or other Locust Grove - VA real estate, please contact us and one of our knowledgeable Locust Grove - VA REALTORS® would be pleased to assist you. "The River is 625+ acres with over 1 mile of frontage on the Rapidan River near Locust Grove in North Eastern Orange County near Fredericksburg. Here, a manor from the best of Southern designs was built in 2007 with great attention to space and materials. High above the river, the manor features nearly 7,000 square feet of finished and unfinished space including 6 bedrooms and 4 1/2 baths." "Truly Magnificent WATERFRONT like this is a Rare Find!!! You will be Mesmerized when you Walk thru the Door by the FABULOUS Views!!! Welcome Home to 232 Beachside Cove. Nestled at the Mouth of one of Lake of the Woods Premier Coves on the Main Lake. Lounge on the Beach or Multiple Outdoor Living Spaces and Enjoy all that Lake Living has to Offer!! Truly a Custom Experience featuring updated Kitchen with Granite Countertops, Stainless Appliances, Bamboo Flooring, 100 year roof, Docks, Boat Lift, Decks, Screen porch, Two Master Suites!!! What more could you Want? Located in Amenity Filled Lake of the Woods with so much to offer you Feel like you're on Vacation Every Day!!! Community Pools, Fitness Center, Lakes, Clubhouse with Fabulous Outdoor Dining, Golf Course, Golf Clubhouse, Community Center, Tennis Courts, Pickel Ball! You name it, it's here! You'll never have to Leave!!! Come take a Look at this Fabulous Home Today and Experience it for yourself!!!" "OPEN WEEKENDS BY APPOINTMENT: Tour one of the nicest, best built and well appointed homes in Locust Grove.. Main level master suite and laundry room make this a versatile home now and the years to come.. You will fall in love with every detail of this residence.. The dramatic two story foyer welcomes you with natural light, space and a specially designed chandelier.The walnut capped display is dramatic and just the beginning of the fine details and upgrades throughout.. The formal dining room is truly elegant, yet comfortable with floor to ceiling windows and intricate crown and chair rail moldings. The kitchen is an inviting delight with Dacor appliances, imported exotic and rare emerald green granites, a Meile dishwasher, Dacor 6 Burner cooktop, Trash compactor, Range hood with island, eat in kitchen and plenty of table space plus.. Adjacent is the four season's sunroom with a surround of windows. Enjoy views of your green, trees and all the serenity that abounds.. back inside you will find imported tiles, specially woven fabrics and numerous fine details throughout. They lend themselves to the absolute quality of unparalleled design and craftsmanship in this home. 4+ generous bedrooms grace the floor plan with high grade quality carpet and padding, in addition to rich tiles and Rosewood hardwood flooring throughout. The main level offers the grand master suite with sitting area, 11' tray ceiling, custom frieze, and 7X17 walk in closet. The main floor master bath is exquisite with 6' Roman tub, separate shower with seat, granite countertops on vanities, custom gold inlaid decorator basins, imported tile mosaic on floor, tile surround, low noise exhaust fans, architectural columns and imported custom cabinets and bases. Other upgrades and custom features include a central vacuum system, programmable sprinkler system, extensive mature landscaping, tank less hot water system, whole house humidifier, electronic air cleaner, over sized castings, water conditioner, 10"
"What a spectacular property! This open concept home is full of majestic character and fine features. You will love the the open concept floor plan with its soaring ceilings in the foyer and living room and windows galore in the sun room! Outside you will find an extensive deck and patio area which leads you to the water's edge where you can easily access all of your water toys! Lake living! A private, gated, secured community, Lake of the Woods offers anything and everything you could possibly want. Home to two lakes (the 550 acre main lake and a 35 acre fishing lake), a golf course, an equestrian center, a fire and rescue department, and a church all within the gates, Lake of the Woods simply has it all. Whether your passion is boating, waterskiing, kayaking, golfing, horseback riding, or simply taking in the breathtaking views from the clubhouse while enjoying a fabulous meal, from your own deck or yard, or from one of the beaches, you won't be disappointed! Perhaps you'd like a game of bridge or volunteering your time and talents...Lake of the Woods offers more than 60 clubs and/or organizations from which you may choose to become involved. Located in Orange County, we are fortunate to enjoy low real estate taxes. Coupled with home prices ranging from $100,000 to over $2,000,000, Lake of the Woods is the perfect community for both full-time residents, as well as weekenders. But don't take my word for it, please come see for yourself! I will gladly give you a tour of Lake of the Woods by boat and by car so that you may experience why I love Lake of the Woods!" "REDUCED! 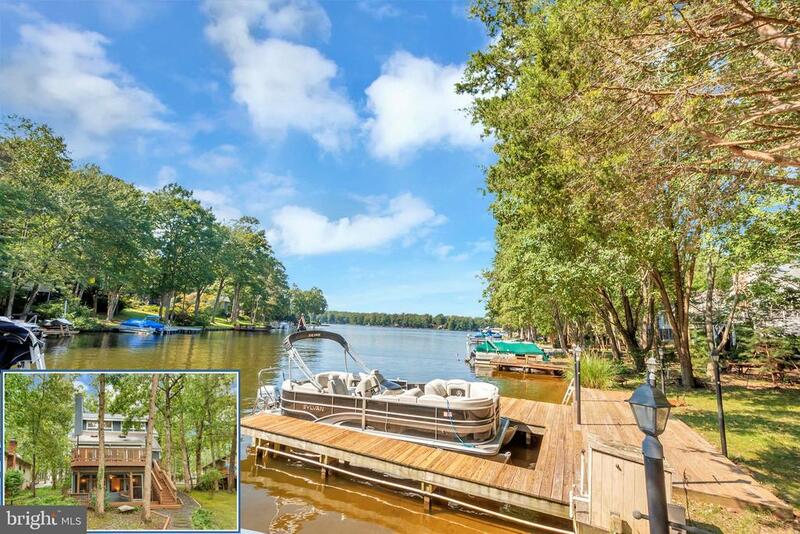 This is your chance to purchase a beautiful lakefront home with a great dock for your water toys. Over 3,950 sf of living space on 3 levels with a main level master bedroom, 4 bedrooms, 3.5 baths. Entertain while cooking in an updated kitchen. Hardwood floors on main & lower levels. Two car garage and plenty of parking. Large custom garden shed. Enjoy a peaceful, serene afternoon on the large screened porch overlooking a lovely backyard and the lake. Look out the windows and see the tranquil lake. This is a great home for entertaining or just relaxing. The lower level has a den, rec room, bedroom, full bath, wet bar, work room and library and a walkout to the patio. Lake of the Woods as so many amenities for your enjoyment; two lakes and water sports such as boating, jet-skiing, water skiing, fishing, tubing, wake boarding, kayaking and paddle boarding. A clubhouse for fine dining or enjoy a beverage watching sports at the Clubhouse Sports Bar. Enjoy golf at the 18 hole PGA Golf Course. Take a swim at 2 new pools. State of the art fitness center projected to open this summer. There are fields for sports and a community center. If you have a hobby, chances are there is a club for you to explore. This home has been well taken care of and it immaculate. Take a moment and look at the video." "Your private, tranquil lake retreat boasting 245 ft of water-frontage w/spectacular sunsets & incredible lake views--a true wildlife paradise--awaits! The architecture is simply amazing in this 1 level, 1-of-a-kind custom home! Ponds, tea house, outdoor shower, & decking grace the exterior. You'll love the lifestyle: lakes, pools, golf, horse trails, Clubhouse, & so much more! A private, gated, secured community, Lake of the Woods offers anything and everything you could possibly want. Home to two lakes (the 550 acre main lake and a 35 acre fishing lake), a golf course, an equestrian center, a fire and rescue department, and a church all within the gates, Lake of the Woods simply has it all. Whether your passion is boating, waterskiing, kayaking, golfing, horseback riding, or simply taking in the breathtaking views from the clubhouse while enjoying a fabulous meal, from your own deck or yard, or from one of the beaches, you won't be disappointed! Perhaps you'd like a game of bridge or volunteering your time and talents...Lake of the Woods offers more than 60 clubs and/or organizations from which you may choose to become involved. Located in Orange County, we are fortunate to enjoy low real estate taxes. Coupled with home prices ranging from $100,000 to over $2,000,000, Lake of the Woods is the perfect community for both full-time residents, as well as weekenders. But don't take my word for it, please come see for yourself! I will gladly give you a tour of Lake of the Woods by boat and by car so that you may experience why I love Lake of the Woods!" "The stunning architecture of this stately waterfront boasting 115 ft of shoreline will wow you! 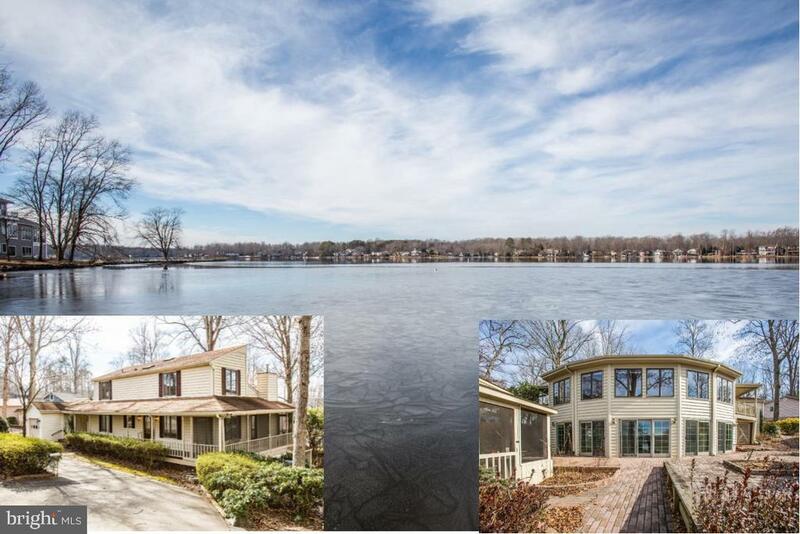 Located in a serene area of the lake, it offers many recent upgrades; a gourmet kitchen, remodeled bathrooms, new HVAC, lower level flooring and a new sun room with fantastic views! A private, gated, secured community, Lake of the Woods offers anything and everything you could possibly want. Home to two lakes (the 550 acre main lake and a 35 acre fishing lake), a golf course, an equestrian center, a fire and rescue department, and a church all within the gates, Lake of the Woods simply has it all. Whether your passion is boating, waterskiing, kayaking, golfing, horseback riding, or simply taking in the breathtaking views from the clubhouse while enjoying a fabulous meal, from your own deck or yard, or from one of the beaches, you won't be disappointed! Perhaps you'd like a game of bridge or volunteering your time and talents...Lake of the Woods offers more than 60 clubs and/or organizations from which you may choose to become involved. Located in Orange County, we are fortunate to enjoy low real estate taxes. Coupled with home prices ranging from $100,000 to over $2,000,000, Lake of the Woods is the perfect community for both full-time residents, as well as weekenders. But don't take my word for it, please come see for yourself! I will gladly give you a tour of Lake of the Woods by boat and by car so that you may experience why I love Lake of the Woods!" "This Stunning Waterfront home has so much offer from Sunrise to Great Sunsets! Bring those WaterToys!Every room on both levels has WaterViews! Main floor Master Grey/White!flooring in Entry Level & Baths all havebeen upgraded!Fresh Landscaped outdoor Grounds! 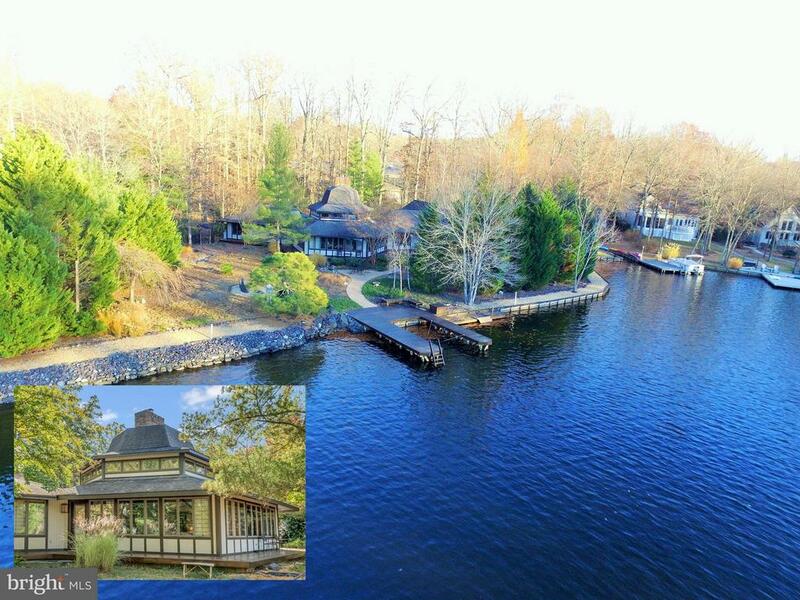 You will love this gorgeously waterfront home overlooking the lake with spectacular views! Come enjoy your own man made Sandy white beach, bonfire pit, Sauna and boat dock (up to w/ 30 ft dept water )! Freshly stained brand new Deck 20x15 in seize Upgraded gourmet kitchen, hardwood floors,New Roof, fresh carpet and paint, upgraded lighting and an open Sunroom with lots of light!Sellers are Agressive!" "RARE OPPORTUNITY to try before you buy! This fabulous Lake of the Woods main-lake waterfront home is already generating income as an AirBNB. This property not only offers unparalleled views but what better way to offset the expense of a waterfront home than to buy one that is putting money in your pocket? Renovated from the foundation up in 2018, this STUNNING 3 bedroom 2.5 bath corner lot home will WOW you from the home to the view. The cool colors, crisp contrasts, and stainless appliances make this home timeless. Little to no maintenance inside and out with new vinyl siding and all solid surface flooring and counters. All new plumbing, electric, fixtures, walls, floors, and roof. This home will leave you wanting nothing and will satisfy the most discerning buyers. 2 living areas, large rear deck and patio below to entertain family and friends year round. Enjoy the lake view every morning and evening from the large master bedroom with separate access to the rear deck. Unique finishes set this home apart from the rest. Circular drive and secondary driveway to the side of the property provides ample parking for guests.Lake of the Woods is close to everything you need but not in the middle of the hustle and bustle of the city. Should you need anything more, Fredericksburg, I95, and Culpeper are just 14 miles East or West. This house is close to the front gate, golf course, and clubhouse. Make sure to check out the 3D virtual home tour! Floor plans in the pictures and in the documents section." "PRICE REDUCED! Own this private retreat in this custom built home featuring: granite kitchen with island SS appliances, crown & chair rail, front porch, 12X40 deck Hardwood floors. Separate in-law suite with gas FP full kitchen, deck, LR,BR 2 car attached & 2 car detached garages. 7.67 Acres to enjoy & explore." "$10,000 price dropped!! Spectacular Panoramic Lake Views!! 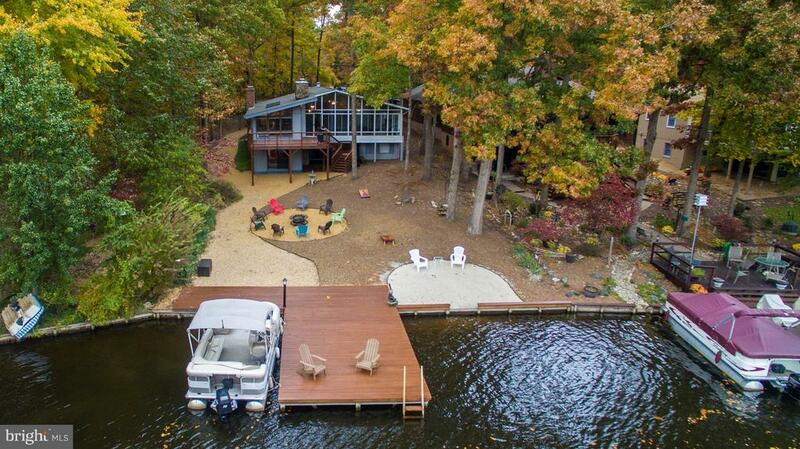 This is the lake house that you have dreamed about! 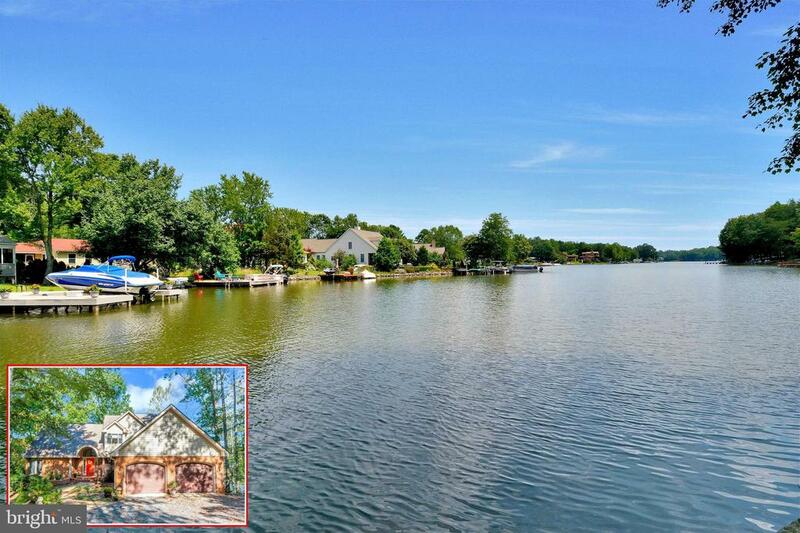 One of a kind lake home sited beautifully on a gorgeous waterfront and level lot with approx. 200 feet of magnificent deep water, located in the prestigious community of Lake of the Woods. This well maintained home features 3 bedrooms and 2 1/2 baths, large kitchen with New granite counter tops, breakfast nook, living room with massive stone wood-burning fireplace, formal dining room, extra large family room/sunroom with floor to ceiling windows, New hardwood floors, vaulted ceilings and amazing lake view. Large Master Bedroom on main level with Master Bath and access to large deck over looking the water. Main level opens to large deck with an extraordinary water views leading to a private dock with boat launch! Home Office/exercise room space in the main level. Upstairs area 2 bedrooms with wide water-views, walk in closets and built-ins, large bathroom with soaking tub and separate shower, and a large cat walk hallway that can be used as a office space/play area. 2 oversized car garage and extra large and private paved circle driveway.Many New updates throughout the home, new floors, kitchen counter tops, newer roof and HVAC. This is a fantastic property!! Buy now and be in by Spring." "Let's get this lake life started! So much to enjoy; extensive dock for summer fun, deck with hot tub and plenty of room for entertaining, even a private guest house for visitors or maybe you need an in-law suite. House boasts high ceilings in the living room, lots of windows for natural light and lake views and a sought-after main level master bedroom. You've got it all right at your doorstep and even more to enjoy in the community. A private, gated, secured community, Lake of the Woods offers anything and everything you could possibly want. Home to two lakes (the 550 acre main lake and a 35 acre fishing lake), a golf course, an equestrian center, a fire and rescue department, and a church all within the gates, Lake of the Woods simply has it all. Whether your passion is boating, waterskiing, kayaking, golfing, horseback riding, or simply taking in the breathtaking views from the clubhouse while enjoying a fabulous meal, from your own deck or yard, or from one of the beaches, you won't be disappointed! Perhaps you'd like a game of bridge or volunteering your time and talents...Lake of the Woods offers more than 60 clubs and/or organizations from which you may choose to become involved. Located in Orange County, we are fortunate to enjoy low real estate taxes. Coupled with home prices ranging from $100,000 to over $2,000,000, Lake of the Woods is the perfect community for both full-time residents, as well as weekenders. But don't take my word for it, please come see for yourself! I will gladly give you a tour of Lake of the Woods by boat and by car so that you may experience why I love Lake of the Woods!" "JUST LISTED! You will be AMAZED at what this home has to offer! 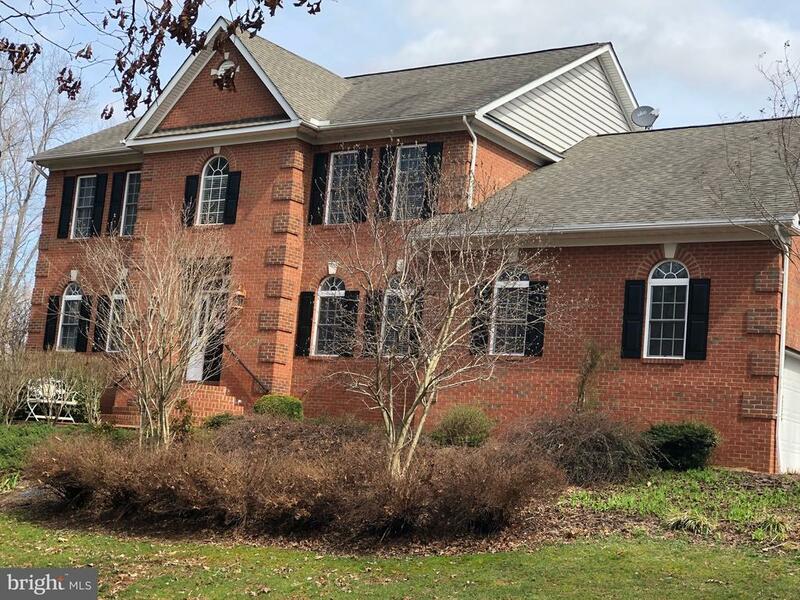 Well maintained and meticulously cared for, this 4 BR/4.5 BA beauty includes 2 master suites, luxury master bath, HUGE Kit/Din Combo & an add'l Formal Din Rm, A walk-in Pantry, Formal Liv Rm, Home Office/Study, 2 sty foyer w/ marble tile, HWF on main & upper level, 2nd sty Laundry Rm & Sitting Area. The basement offers walkout access, finished Storage Area & finished Full Bath. The home has an expansive full covered front porch and a rear deck to welcome & entertain your guests. Well landscaped, fully fenced perimeter, a storage building & SO MUCHMORE!" 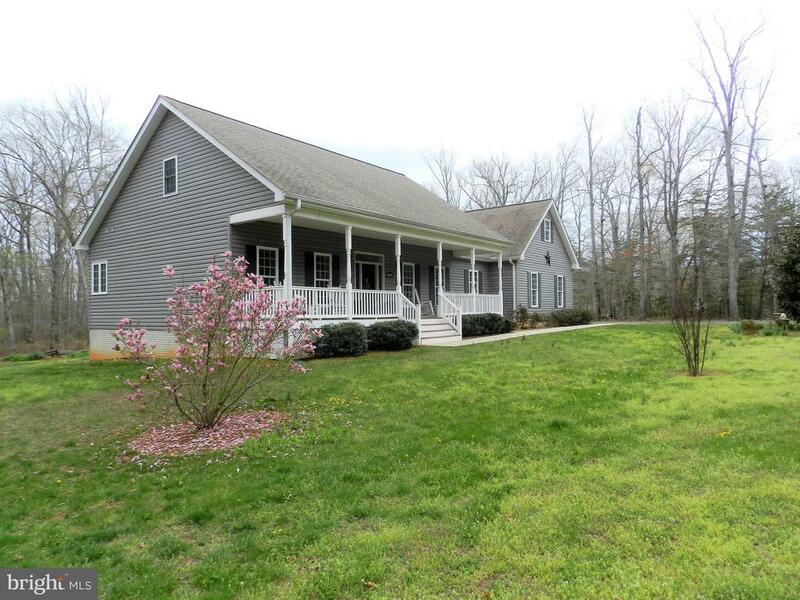 "Come home to this beautiful custom home on 13 acres with plenty of space & panoramic view of woods, rolling pastures, pond. 3 BR, 3 BA, two-story entry & living area, finished bonus room, gourmet kitchen, window seats & plantation shutters. Ready to move in. Gated community, equestrian community." "Price Improved by $15,000 PLUS - NEW Hardwood Flooring installed in main living areas on the main level! 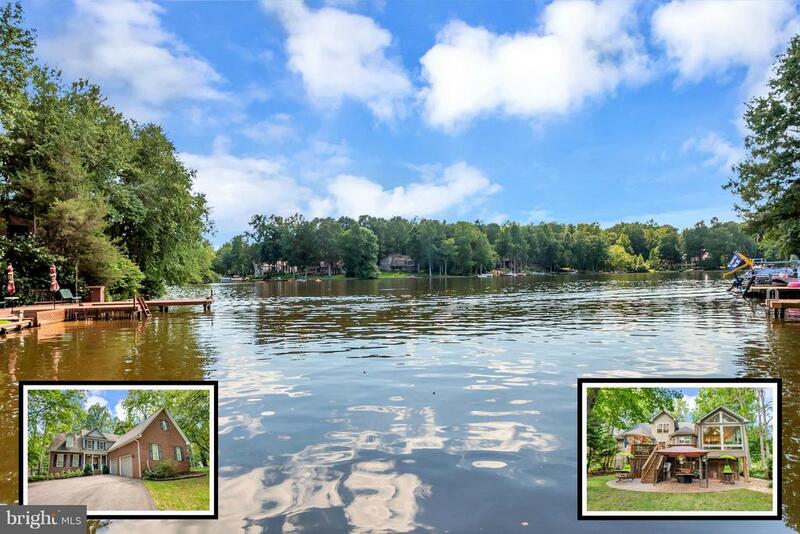 Life at Lake of the Woods doesn't get any better with these impressive water views! The backyard is built for entertaining with terraced brick patios, enclosed screened porch/gazebo (perfect for a sumptuous hot tub!) and private dock for boating and swimming too! Nearly full wrap around porch with a separate, screened, side porch area. Inside you'll find a sprawling home with three finished levels with 3,589 sqft. The main level features a spectacular sun room with a wall of windows looking out to the lake featuring a vaulted ceiling and gleaming hardwood floors. The kitchen is a cook's dream loaded with cabinets and nicely appointed with drawers, granite counter tops, Kitchen Aid appliances, center island, skylights, recessed lighting and a vaulted ceiling. There is a living room/dining room area off the kitchen with a gas fireplace and vaulted ceiling. Main level Master Bedroom with updated bathroom. Upstairs you'll find two additional bedrooms and a full bath. The lower level goes on and on with a bonus, den area (possible guest BR - NTC), large family room with gas stove, utility room area PLUS a SECOND Sun room with beautifully tiled floor that walks out to the backyard. The yard will come alive with color this Spring with vibrant Azalea Bushes, Dogwood and Cherry Trees! If this waterfront escape doesn't offer enough...Enjoy the many amenities of Lake of the Woods including beaches, new swimming pool, golf, stables, tennis and delicious dining at the fabulous Clubhouse! There's a Whole House Generator too!" "Move in ready WATERFRONT in Lake of the Woods is waiting for you! Spacious 3 bed 2 bath split plan has special features you'll appreciate. Your journey begins as you enter and immediately notice the quality hardwood floors and the soaring cathedral ceilings. 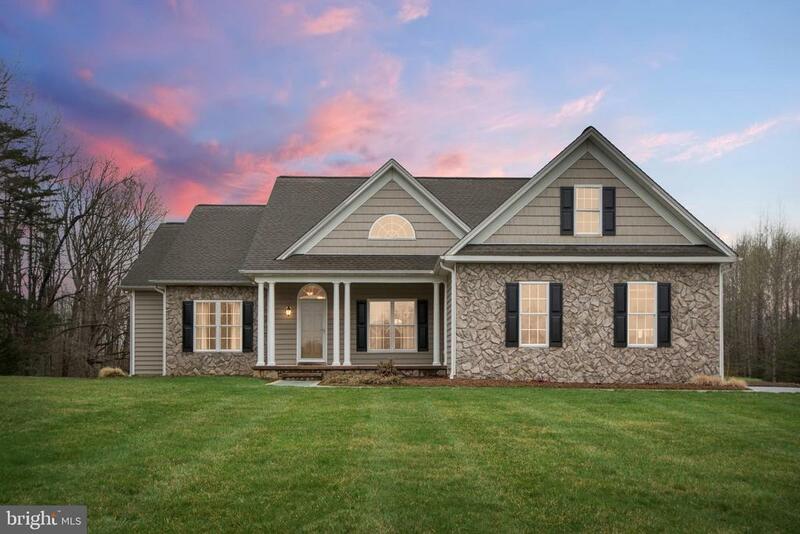 Brand new skylights drench the spacious living room with ample light and the gas fireplace is a perfect place to enjoy those cool Virginia evenings. The open floor-plan leads you to one of the best views this home offers. You'll find yourself surrounded by 3 walls of windows, a splendid place to enjoy your lake views and that morning cup of coffee. The generous master suite features walk in closet and has seen bathroom updates as well. The 2nd bedroom has a large separate sitting room/office with built-ins and more amazing water views. Kitchen has an additional area for a second dining room table if desired and features an attached screened in porch. If entertaining is on your to do list then the rear multi-tiered deck is sure to excite! Spanning the entire width of the home, there is no shortage of room here! Your private dock has room for up to 2 watercrafts if desired and is protected from the main lake's wake by the small island. This beautiful home needs nothing and has been meticulously maintained. Features fresh paint inside and the roof has JUST been replaced. Summer is coming! What a great time to capture a home like this. Live here year round or make this your summer home. This home will do either marvelously!" 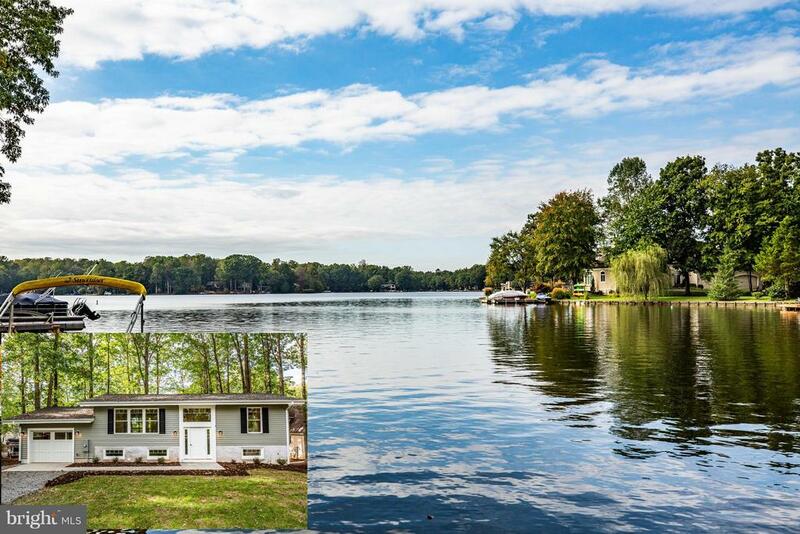 "Great opportunity to be in one of the very best locations on the lake. Only two lots from the point. Panoramic main water views year round and gorgeous sunsets. Cul de sac location only a few minutes from the main gate, main clubhouse, new pool&fitness center. Quick drive to Fairways and golf clubhouse. This large home features one or 2br on main plus 4 large guest bedrooms upstairs with gorgeous views from bedrooms. Spacious great room and dining area. The exterior is freshly painted. This home is in move-in ready condition but can use some updating. The entire interior and carpet were professionally cleaned. Bring your boats and jetskis - Summer is almost here! 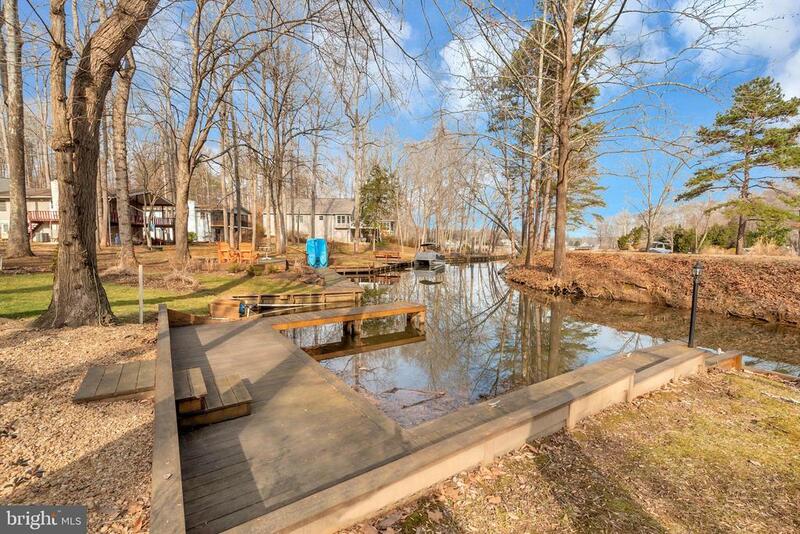 You can swim and fish from your dock and back yard. Front row seats for 4th July Fireworks and a quick boat drive across the cove to Clubhouse pier for a glass of wine and a bite. Lake of the woods has so much to offer. This well established 4000 homes gated community has a long list of amenities and activities. As well as different clubs and sports for all. Our large lake offers boating, skiing, sailing, kayaking, fishing, and swimming. Beautiful Golf course. Formal and casual dining. Two lounges. 2 pools and a new fitness center. Horse and ponies stables. 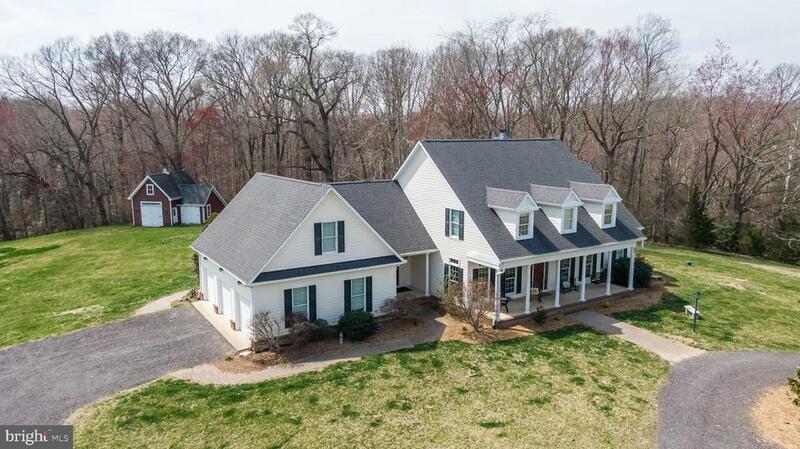 Tennis, pickleball, walking trails, exercise classes and so much more... Come see us, we are conveniently located between Washington DC and Richmond, just west of Historic Fredericksburg, VA."
"WHEN I DROVE UP THIS DRIVEWAY I WANTED TO BUY THIS FARM! FARMHOUSE BUILT IN 1887 ON ALMOST 10 GORGEOUS ACRES! GREAT LOCATION AS WELL! THE FARMHOUSE HAS A ROCKING CHAIR FRONT PORCH, WONDERFUL NEW FLOORING, SPACIOUS ROOMS! REMODELED KITCHEN WITH TONS OF COOKING & CABINET SPACE! GREAT BREAKFAST BAR! SEPARATE DINING ROOM! GREAT MUDROOM! MAIN LEVEL MASTER SUITE WITH REMODELED BATHROOM, OWN PRIVATE EXIT TO THE BACK! REALLY NICE SIZE BEDROOMS UPSTAIRS TOO WITH HARDWOOD FLOORS! SEPARATE DETACHED 3 CAR GARAGE WITH 2 BEDROOM APARTMENT OVER TOP! APARTMENT OVER TOP HAS 2 BEDROOMS, BIG FAMILY ROOM, UPGRADED KITCHEN, DINING AREA, VERY NICE BATHROOM, LAUNDRY, DECK! THIS PROPERTY ALSO HAS AN AMAZING BARN WITH LARGE STORAGE UPSTAIRS IN THE BARN THAT COULD BE TURNED INTO SO MANY THINGS! THERE ARE ALSO 7 FINISHED KENNELS WITH CEMENT FLOOR AND RUNS! THIS PROPERTY HAS A GARDEN AREA, PADDOCKS CONSISTING OF 3 WOODED ACRES AND 4 ACRES OF OPEN ROLLING LAND. THIS REALLY IS A ONCE IN A LIFETIME PROPERTY! LANDSCAPING CONSISTS OF PRODUCING GRAPE, PEACH, APPLE & PLUM TREES AND BLUEBERRY, RASPBERRY AND BLACKBERRY BUSHES! SOLAR PANELS ON THE HOME TO ASSIST WITH YOUR ENERGY BILLS! ADDITIONAL LAND FOR LEASE AVAILABLE AS WELL!" "Grab your horse trailer and high-tail it on down! Fantasic 10 acre horsefarm just got a big facelift! Recently renovated ranch-style home with everything on main level is ready for the next horse enthusiast! Open and sunny kitchen/great room opens to big deck, or walkway to barn. Roomy kitchen has brand-new granite and range with breakfast bar and separate breakfast room! Formal dining room with dental molding & chair rail. Master suite is next to laundry center, has 2 walk-in closets, huge bath with corner whirlpool & 5' tiled shower. Lower finished level has rec room, office space, hobby room, offic space, and 3 other guest rooms...plus full bath. Unfinished storage area lined with shelving. Fabulous 5-stall horse barn with water & electric also has hay loft, office, wash stall, and storage. 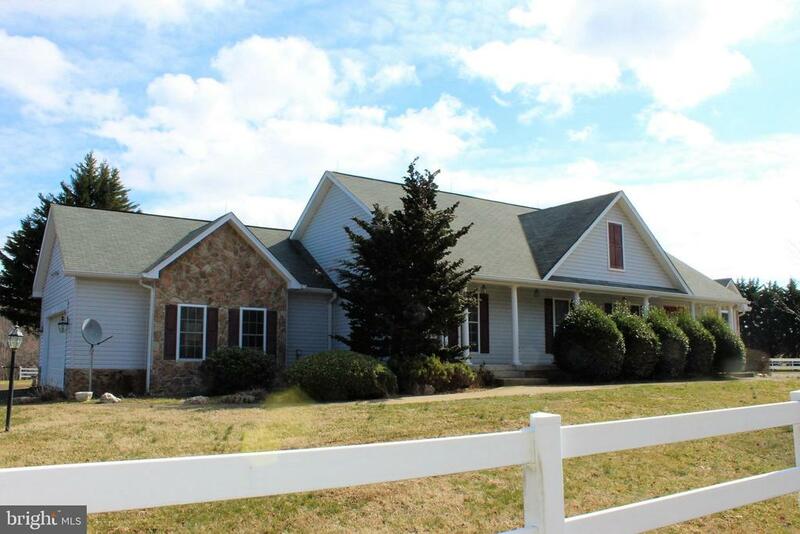 1 paddock & 3 crossfenced pastures complete this wonderful property that is well-priced to sell quickly!" "Beautiful, Meticulously Maintained! Featuring 3 bedrooms and 3 full baths. Nothing to do but Move In and start Enjoying your New Home. One Level Living starts by greeting you with Spacious Foyer with Hardwood Flooring and Crown Molding. Off the Foyer, you will find a Dining Room/ Office with a set of two French Doors and Hardwood Floor. The Living Room Feature Architectural Details like Tray Ceiling, Columns, and Crown Molding. Spacious Kitchen has tons of cabinets and two pantries. Granite countertops, Big Island with 5 burners propane stovetop and the drop down stove vent. The Appliances include Two built-in Ovens, Refrigerator with Ice Maker and Wine cooler. Immediately off the Kitchen~is the Breakfast Room and Family Room with a Door to the Patio. Moving to the Master Bedroom...Beautiful Room with Tray Ceiling, Crown Molding and a Barn Door that leads to the Large Master Bathroom. Recently renovated it's everything that everyone wants. There are Two more Guest bedrooms and Two Baths, True Laundry Room and closets. Oversized garage for two cars and a staircase that leads to an additional storage space with a possibility to create a bonus room. This property is truly wonderful! Come see it soon!" 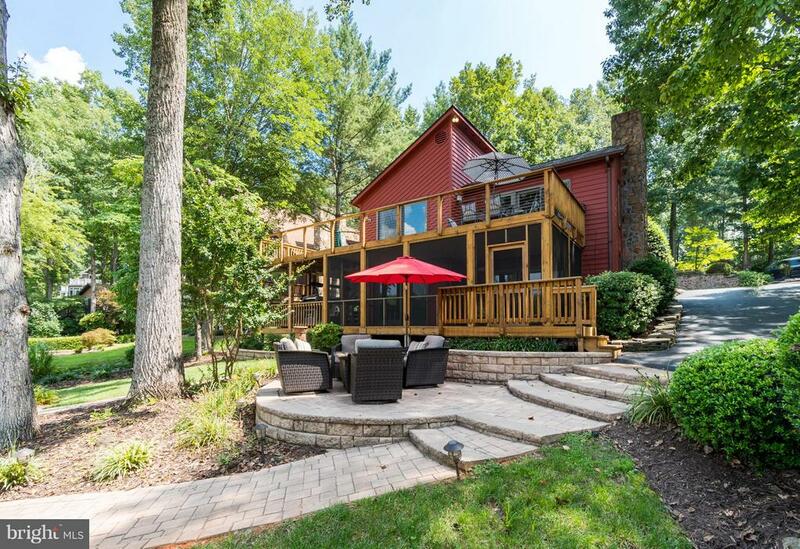 "Let's get this lake life started in a fantastic floor plan home as well as outdoor living space! Set off in a kayak and watch the morning fog lift from the water, then swim or soak up the afternoon sun from your dock. Most furniture can convey with acceptable offer for quick enjoyment Visit the stables & hit the trails or meet your friends for coffee before tee time at the PGA golf course!" 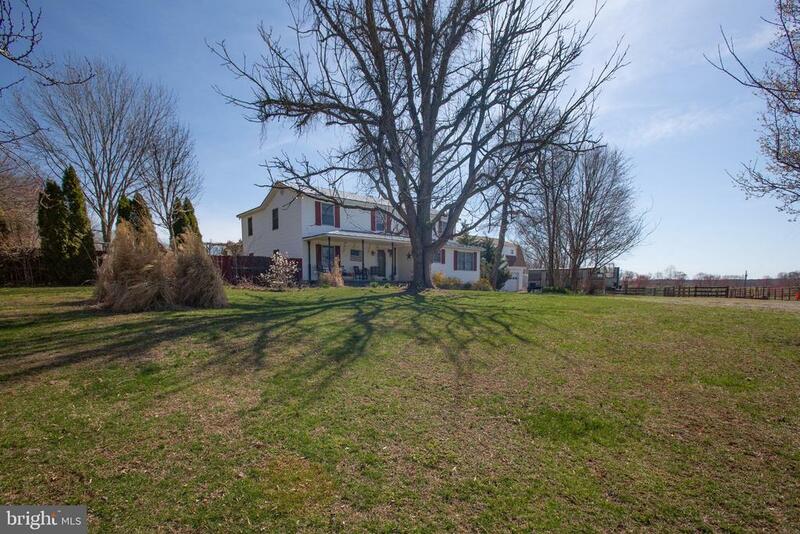 "Come see this wonderfully maintained large colonial on 2acres in Meadowland in Locust Grove. Located in quiet cul-de-sac this home features double master bedrooms upstairs, plus two additional bedrooms and a large office/nursery off of the larger master. Home also offers a full unfinished basement for room to grow or extra storage. on the main level enjoy entertaining in your open concept gourmet kitchen, living, dining, and sunroom area. Kitchen boasts double ovens, granite counters, gas cooktop. All upgraded appliances. Custom Crown molding throughout. Open foyer gives you plenty of space to welcome guests from your front porch. Backyard has been professionally landscaped with in ground salt water pool w/heater. You won't want to miss this one! 24hr notice to show please." "Lake Front Property w/ Dock. 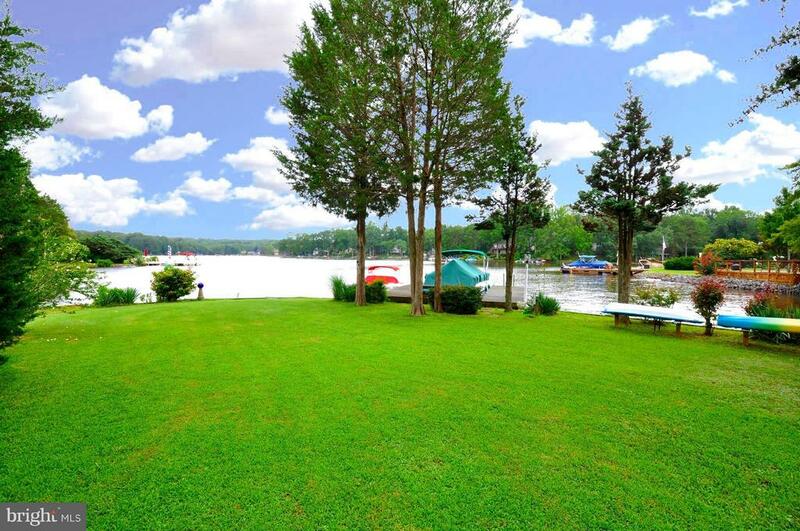 Home is in Large cove on Main Lake with great water access and views. Welcome home to your perfect hideaway! 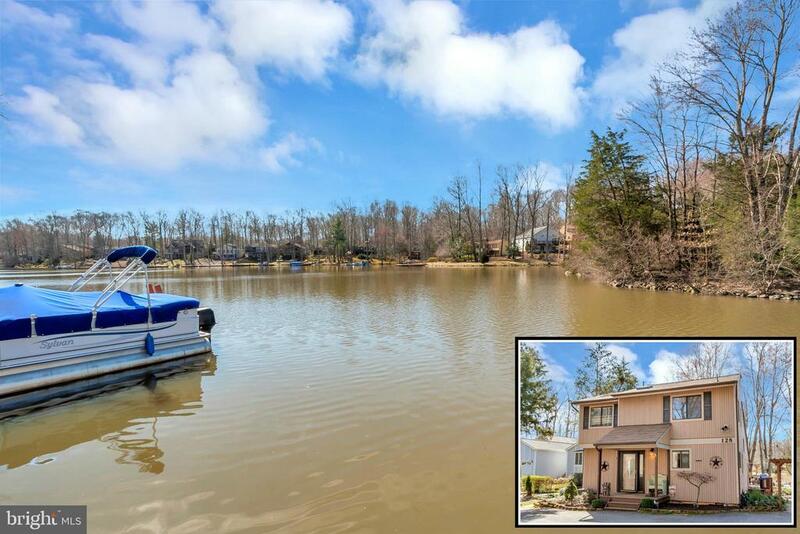 This 3 bedroom, 3 bath raised rambler sits on the water's edge with its private dock on the lake of Lake of the Wood Community in Locust Grove. Newly refreshed interior and exterior spaces are move-in ready with all the amenities needed to get away from it all. Spacious living and dining area face large deck with breathtaking views of the lake. Large kitchen comes with stainless steel appliances, kitchen island and lots of storage. Bedrooms are spacious and perfect for relaxing. 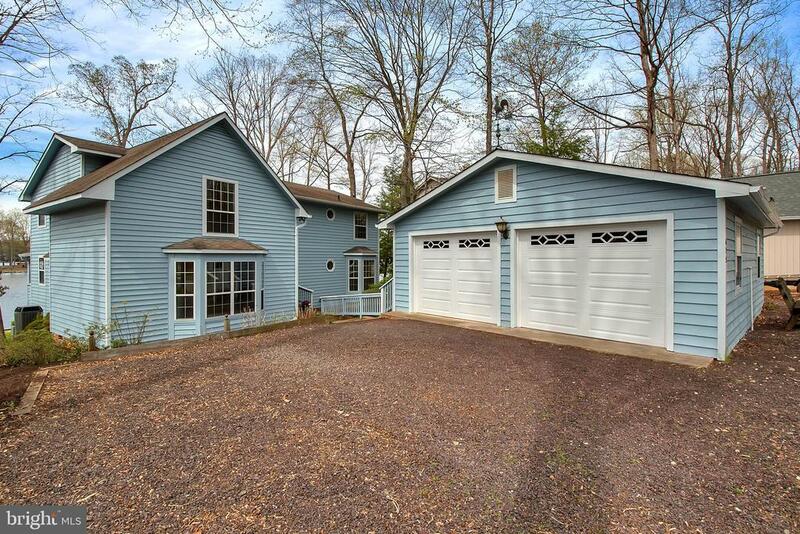 Fully finished basement has large recreation area, full bath and bonus room. Lower level has brick patio with wooden swing. 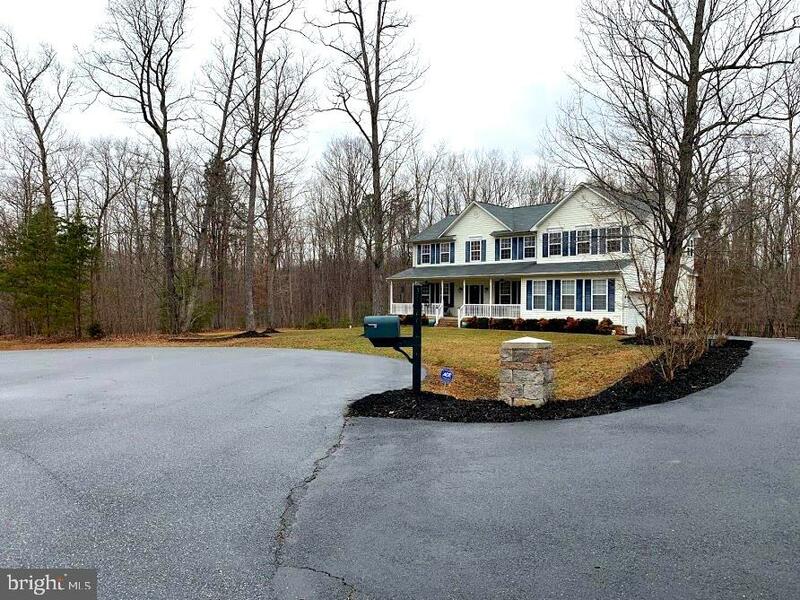 Newly graveled driveway, trees and added landscaping make property more private. 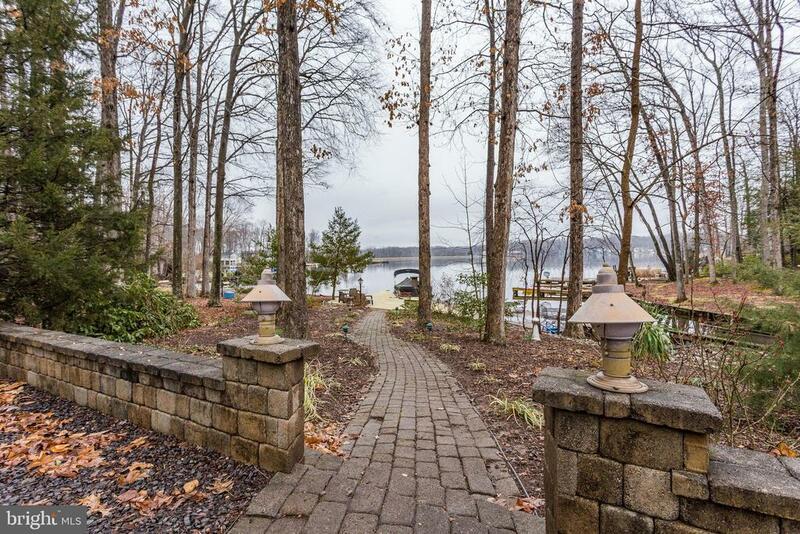 Brick walkway to private dock leads to more outside entertainment spaces and breathtaking views of the lake. Private gated community of Lake of the Woods offers every amenity imaginable, including pool, golf course, beaches, horse stables, Club House w/ dining, water ski ramp ....& more, all furnishings, small appliances and equipment that you see conveys"
"WOW! 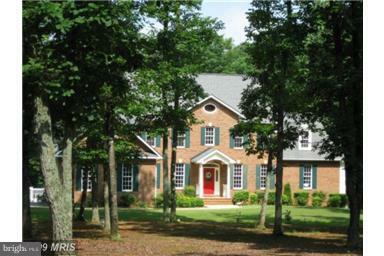 ABSOLUTELY STUNNING BRICK COLONIAL THAT IS STATELY, DRAMATICALLY OPEN, SOPHISICATED & ELEGANT THROUGHOUT EVERY INCH! ALL THE BOXES ARE CHECKED OFF ON THIS ONE! HARDWOOD FLOORS! SPACIOUS KITCHEN W/CENTER ISLAND, DRAMATIC CURVED STAIRCASE, FORMAL LIVING & DINING ROOMS, WARM & WELCOMING FAMILY ROOM, EXCELLENT BEDROOM LAYOUTS WHERE THERE ARE 3 FULL BATHS! CHECK OUT THE PHOTOS! 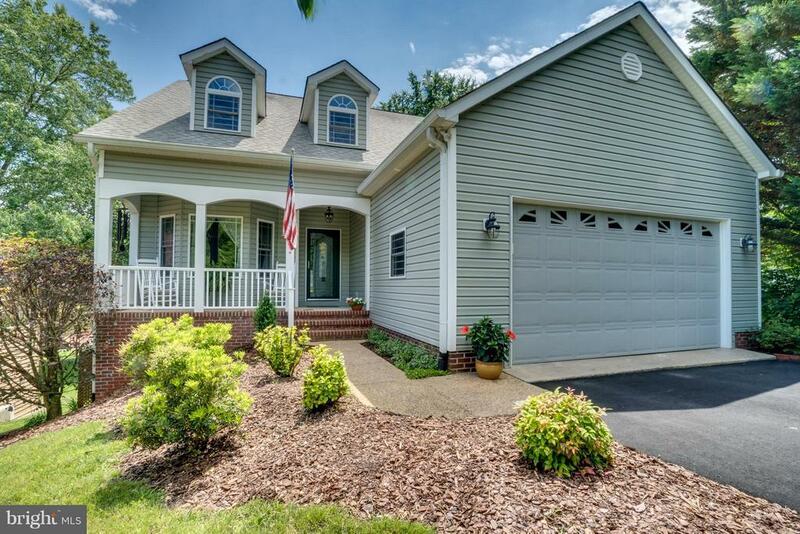 ATTACHED 2 CAR GARGE &&& DETACHED 2 CAR GARGE W/FINISHED BONUS ROOM OVER~EVERY GUY WILL FLIP OVER THIS!ALSO SCREENED IN PORCH & SEPARATE DECK OFF BACK...PERFECT GARDEN LOCATION IN BACK TOO!LOOK AT THE PHOTOS~THIS HOME IS IMMACULANT & BEAUTIFUL!!"